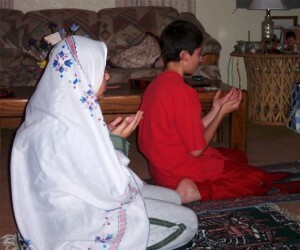 CHICAGO — A county board in Illinois is considering granting a permit to a Muslim organization that seeks to turn a residential home into an Islamic prayer center. The matter has been ongoing for the past three years, as in 2010, the Islamic Center of Western Suburbs submitted plans to the DuPage County Board, noting that the area in Western Chicago had no house of worship for Muslims. However, when neighbors began to express opposition, the group withdrew its request for a time. Some neighbors stated that the project would increase traffic and lower property values, so zoning officials came up with stipulations involving the number of people that could occupy the facility at once. However, when the county board voted last year 15-3 to reject Islamic Center of Western Suburbs’ request, the organization filed a federal lawsuit, citing discrimination. “We think the County violated federal law and the decision needs to be reversed in court,” attorney Mark Daniel told the Daily Herald. However, last week, the zoning board of appeals voted to recommend to the county that the permit be approved an issued following a public hearing on the matter. Therefore, the DuPage County board is scheduled to vote today on the approval of the Islamic prayer center. As previously reported, a permit is also pending in Chicago regarding a $5.5 million Sharia-complaint medical center in the Orland Park area. The application was presented by Dr. Naser Rustom, who owns Alhambra Palace Restaurant, an extravagant Middle Eastern restaurant in the city. While the facility will welcome those of all faiths, Rustom hopes to reach out to Muslims in the community and provide a medical experience that is in compliance with Islamic law. He filed a permit application with the Illinois Health Facilities and Services Review Board in February. “We recognize that a health care facility that is fully compliant with Shariah law would likely violate a number of state and federal laws,” Robyn Fina, a project manager, told Chicago Business. Plans include creating a space for Muslim prayer and ritual washing, which would not be prohibited. According to reports, gastroenterology, general surgery and treatment for pain management will be the central services offered at the facility.